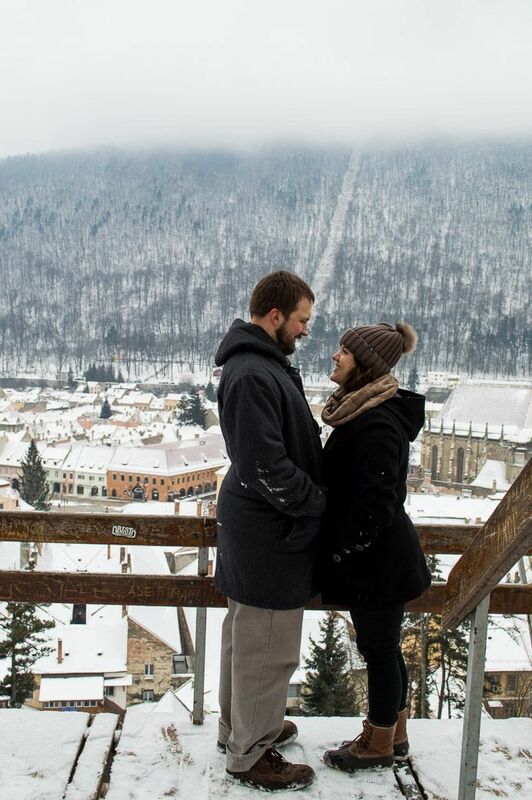 This past winter, my husband and I spent a little over two months in Romania. 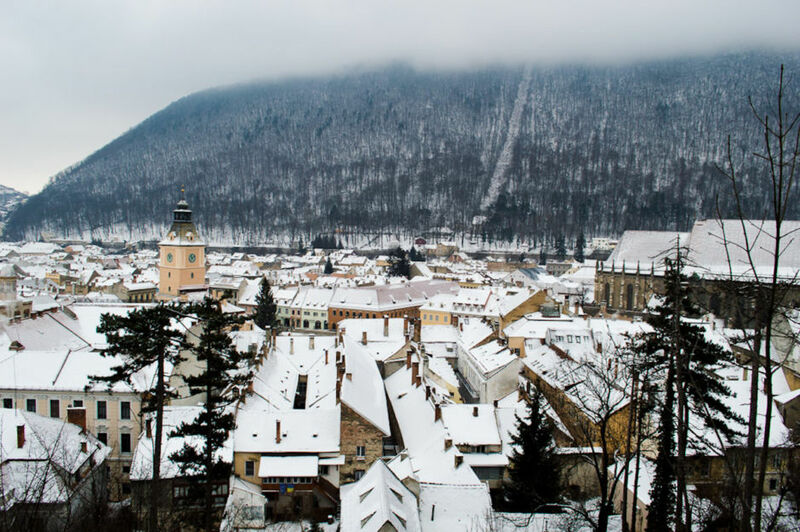 We based ourselves in Brasov, the capital of Transylvania, and a city ideally placed for exploring the country. The pastel buildings and old winding streets made every snowfall that much more beautiful. In many ways, Romania is the perfect romantic destination — the following photos illustrate why. 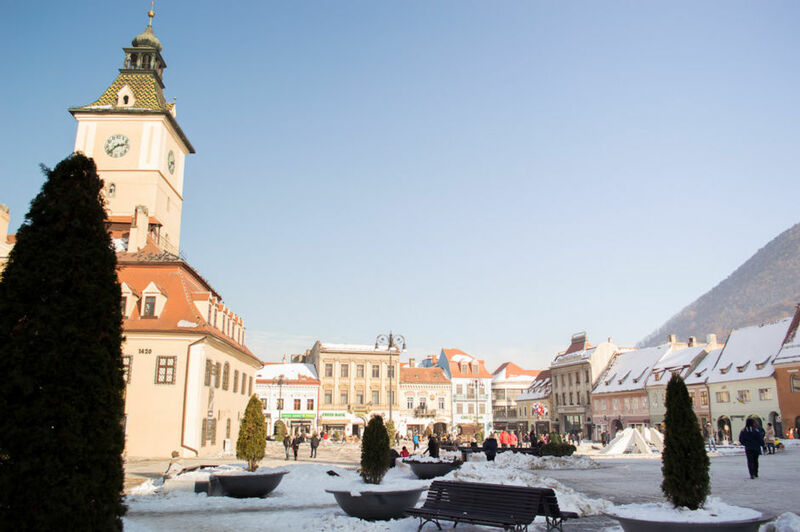 The beautiful buildings in the old town of Brasov will transport you to ancient times. 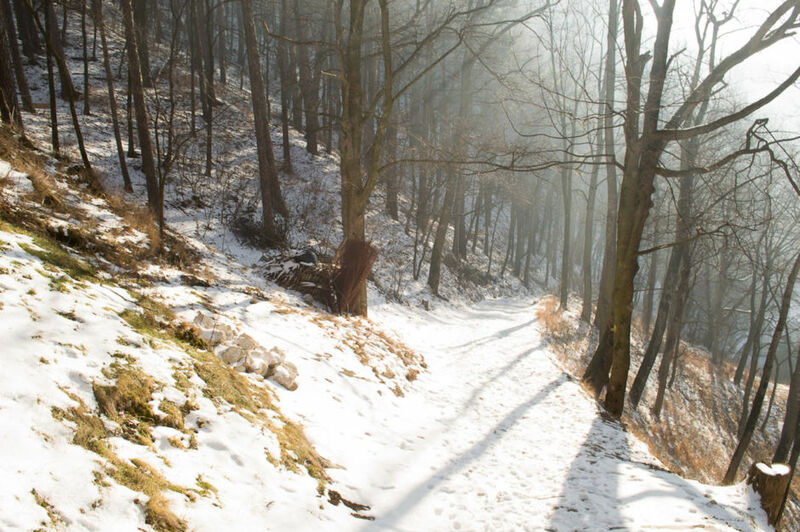 Romania is filled with abundant forests and mountain peaks waiting to be explored. Paths such as this beckon you to come for a walk. Discovering Romania with a beloved is like uncovering a hidden treasure together. Romania is extra romantic during Christmas. 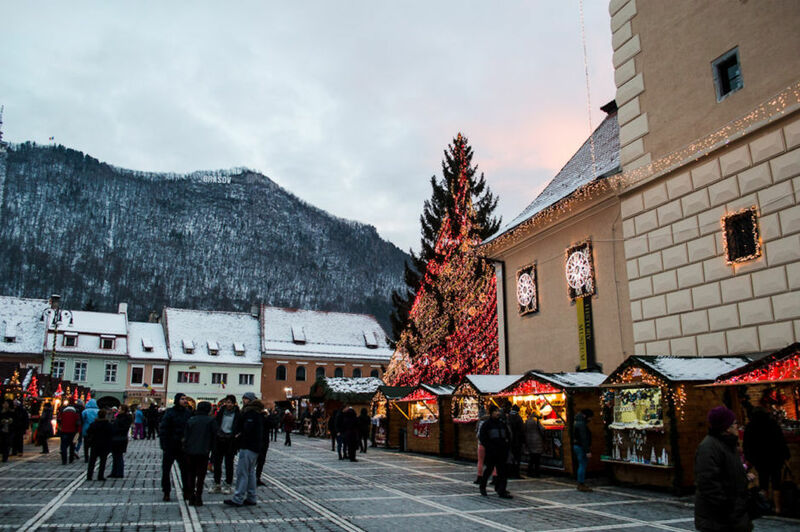 There are enchanting seasonal markets in Brasov, Bucharest, Sibiu, and other cities. 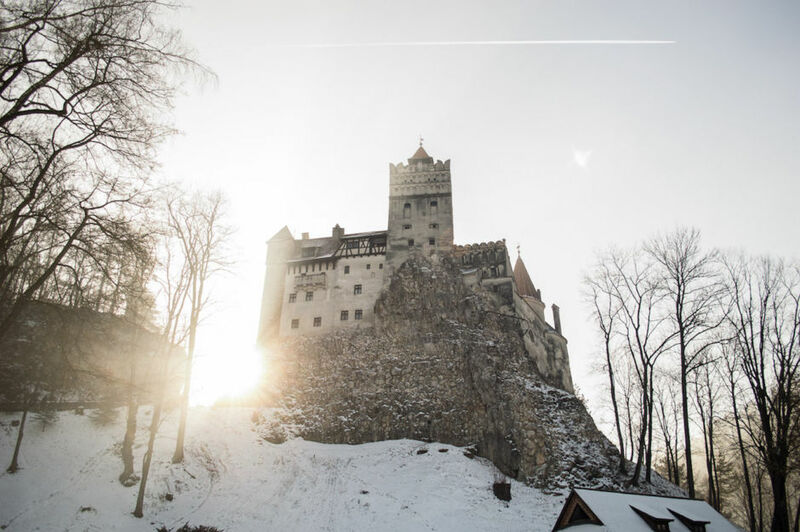 The mystery that surrounds Dracula's castle, as well as its imposing cliff-side presence, will fuel fascinating conversations with your partner. With so many stunning inns to try, you can find the perfect fireplace to curl up next to, and watch snow fall gently outside your window. 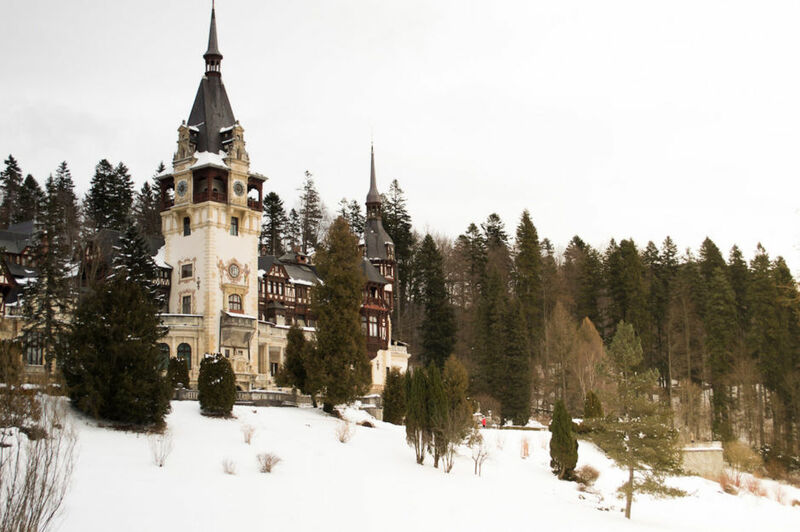 Peles Castle, in Sinaia is equally resplendent inside and outside, so you can wander hand-in-hand imagining you’re living in the time of kings and queens. Whenever you choose to go, you’ll find Romania is overflowing with romance.